A Colorado developer sold the property, which was 100 percent leased to Potbelly’s, Smoothie King, European Wax Center, Fine Nails and Beau Thai. A California-based investor purchased a Castle Rock retail property at a price of $601 per square foot. The buyer paid $5 million cash for the five-tenant net-leased property at 1341 New Beale St. The newly built 8,318-square-foot retail property is located in the Promenade at Castle Rock, one of the largest community center developments in the United States with retail, restaurants, services, multifamily and outdoor spaces on 166 acres. The project will include more than 900,000 sf of retail space and more than 32 multifamily units. 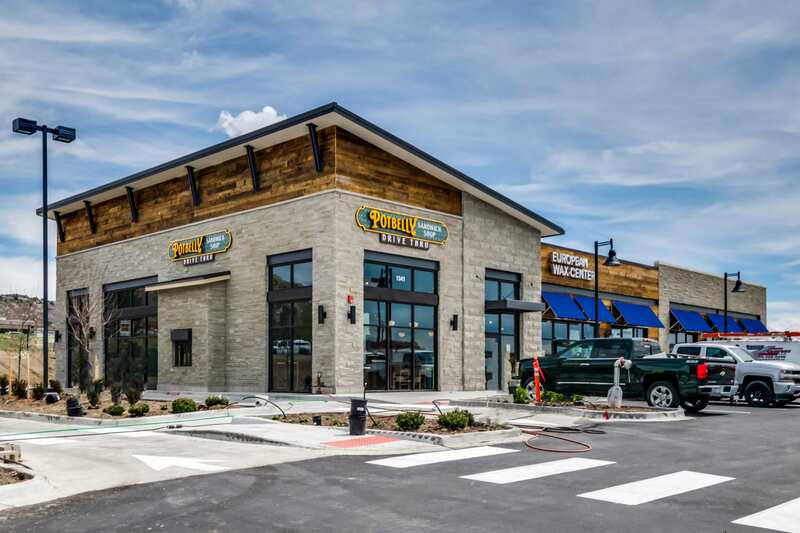 A Colorado developer sold the property, which was 100 percent leased to Potbelly’s, Smoothie King, European Wax Center, Fine Nails and Beau Thai. The property also is an outparcel to Ross Dress for Less and Hobby Lobby, both of which currently are under construction. Pinnacle Real Estate Advisors LLC’s Tom Ethington and Rob Edwards of the firm’s Edwards Ethington Team represented the seller in the transaction.